Editor’s note: This is Part 2 of Applied Radiology’s recap of new technologies on display at RSNA 2015. Part 1 appeared in the January 2016 issue. 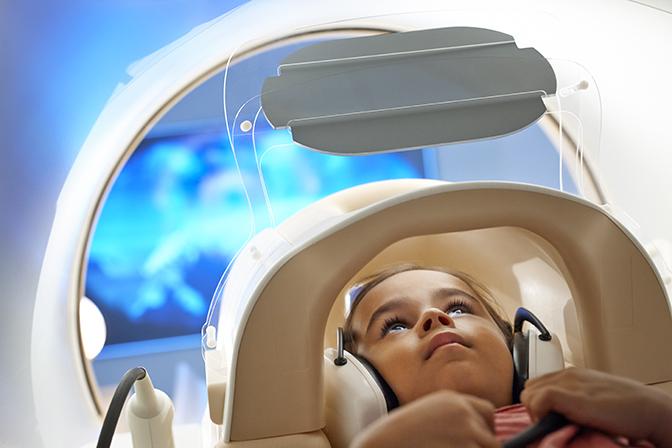 Many companies with a focus on magnetic resonance imaging (MRI) technology are zeroing in on the patient experience, and for good reason: Anxiety-related reactions during MRI are a main cause for patients being unable to complete the exam, with several studies reporting this affects between 3% and 5% of the general population.1,2,3 Anxiety can result from claustrophobia, a fear of enclosed spaces, or from the loud “pinging” noise generated by MRI machines. 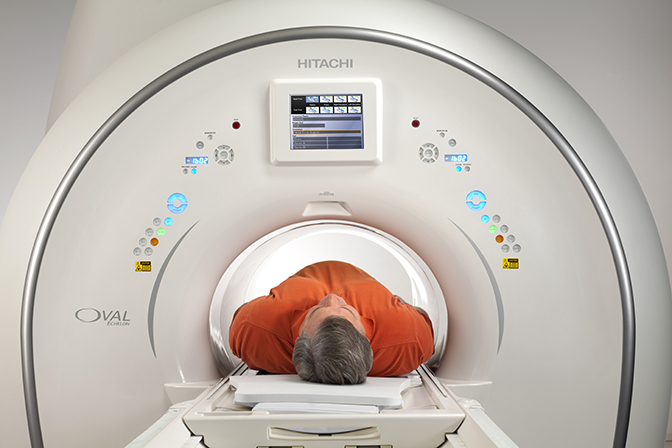 There are a variety of noise-reducing solutions from the MRI vendors; at RSNA 2015 two companies, Philips Healthcare and Toshiba America Medical Systems, highlighted similar approaches that enable the patient to peer outside of the bore. Philips’ in-bore experience technology includes a screen at a 45 degree angle that allows the patient to look outside of the bore and a patient guidance feature that addresses the patient’s sense of isolation by keeping them informed of the time lapse during the scan, with guided breath holds and visuals. Toshiba introduced a WIP solution that uses a mirror to reflect an image for the patient to view, so they do not look at the inside of the bore. New MRI applications were also in abundance, with many enabling new uses of MR by reducing scan times, enhancing visualization of small structure, or making it more accessible to patients with implants. 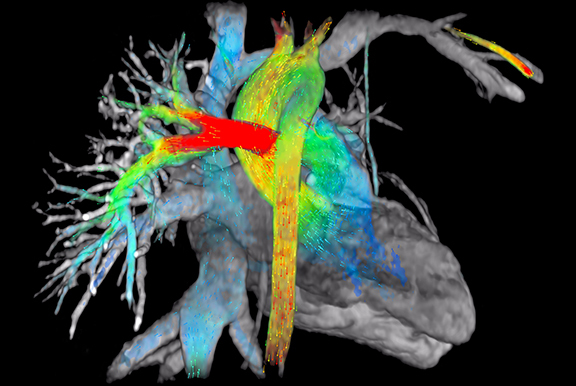 GE Healthcare introduced ViosWorks, a cardiac MR solution that delivers a 3D spatial and velocity-encoded dataset at every time point during the cardiac cycle, yielding high resolution, time-resolved images of the beating heart and a measure of the speed and direction of blood flow at each location. ViosWorks captures 7 dimensions of data (3 in space, 1 in time, 3 in velocity direction). With this free-breathing scan, typically acquired in less than 10 minutes, ViosWorks can simultaneously provide key elements of a cardiac MR exam: anatomy, function and flow. According to the company, the application removes the error-prone and time-consuming aspect of slice positioning and also allows large datasets to be evaluated in real-time via the cloud based Arterys™ software, helping to remove significant barriers to clinically practice cardiac MR studies. 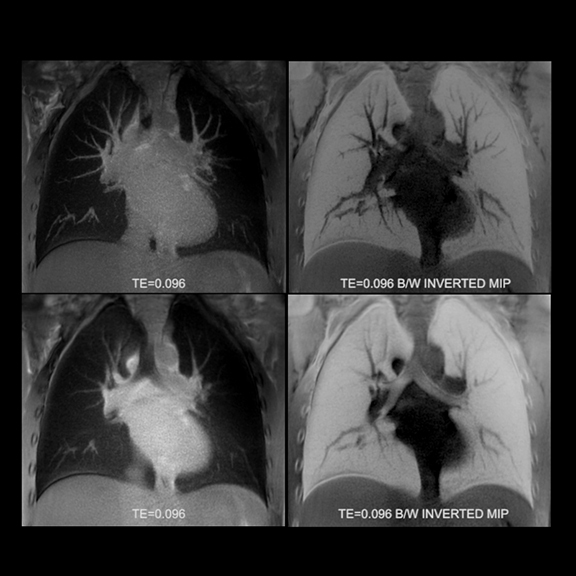 Toshiba’s new Ultrashort Echo Time (UTE) sequence enables clinicians to view pulmonary anatomy that was previously difficult to image with MR. UTE allows clinicians to capture images in tissues and tiny structures that generally disappear too quickly for accurate MR imaging, such as the lungs. The company also introduced the Titan 3T/intelligent Solution (iS) featuring a new gradient design that provides increased performance and image stability for maximum image quality. 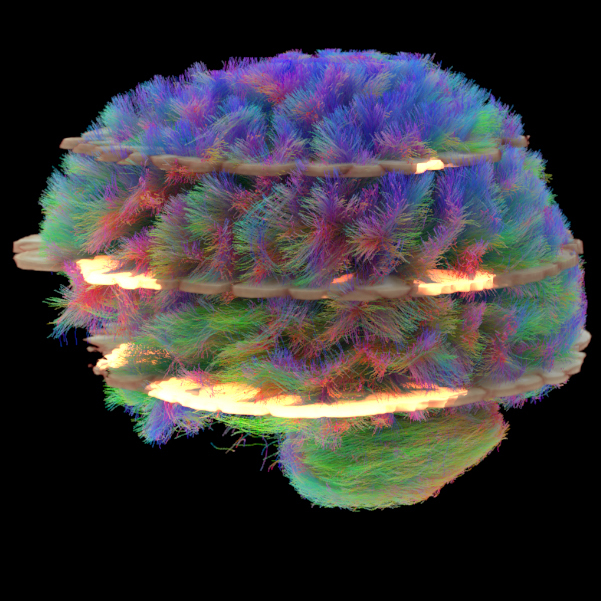 Siemens Healthcare introduced new applications designed to reduce the time needed for MRI examinations of the brain, increasing patient throughput and potentially reducing costs per scan. The 510(k) pending Simultaneous Multi-Slice (SMS) application employs an innovative technique to acquire imaging slices simultaneously rather than sequentially reducing 2D acquisition times by up to a factor of 8. The company reports it will be possible to reduce MR brain scans to times compatible with the clinical routine—for example up to 68% for diffusion tensor imaging. Another WIP application, GOBrain, enables clinically validated brain examinations in five minutes. This is made possible in part by Siemens’ high-channel density coils and the company’s unique MRI scanning software DotGO, the clinically essential image orientations and contrasts are acquired at the push of a button. Finally, Siemens launched syngo MR E11, a uniform application platform for the MAGNETOM family of MR scanners featuring a single consistent user interface as well as intuitive protocol optimization enabled by the DotGO scanning software that enables facilities to provide standardization and reproducibility. Philips also introduced ScanWise Implant, reportedly the industry’s first MRI guided user interface and automatic scan parameter selection to help simplify the scanning of patients with MR Conditional implants, such as knee and hip replacements, spine implants and pacemakers. The solution, currently 510(k) pending in the US, will be available on all Philips’ 1.5T MR systems. The solution is designed to help clinicians understand and scan with the safety limits of each device, as defined by the manufacturer. Hitachi Medical Systems America, Inc., released a new software platform, Evolution 5, boasting 40 new features and improvements. The new platform brings together a new image processing algorithm (VIVID), new reconstruction task (NCC) that reduces redundant noise pickup and new optimized FSE sequence (opFSE). Evolution 5 is available on the Echelon Oval 1.5T with availability on the company’s other MR systems, including the Oasis 1.2T Open High-Field and Trillium Oval 3T systems, to follow later in 2016. Hitachi also expanded its portfolio of applications with: Motion Compensation with a complete neuro suite, “All Around RADAR”; Selective Saturation for controlled MRA evaluation in the abdomen; diffusion with enhanced functional analysis including kurtosis imaging (DKI); liver imaging with iron quantification; and breast imaging with Breast Spectroscopy for therapy monitoring. FujiFilm Sonosite introduced iViz, an ultrasound solution geared for mobile use and telemedicine that combines imaging with health IT to enable patient assessment in non-traditional environments. 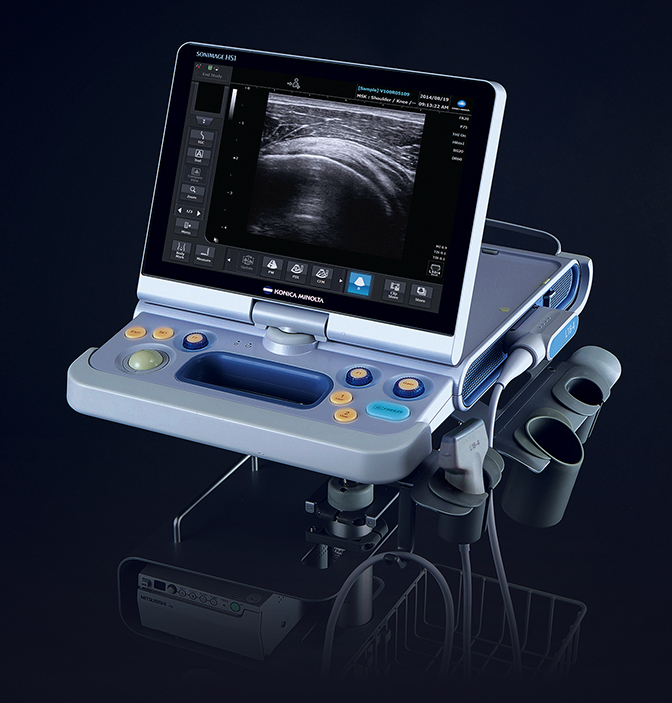 In addition to providing ultrasound, the medical Android OS tablet offers bidirectional communication with the EMR enabled through Synapse VNA so clinicians can access patient information and demographics, as well as other unique communications capabilities including access to cloud-based storage, PACS, and the ability to email encrypted and deidentified patient reports. 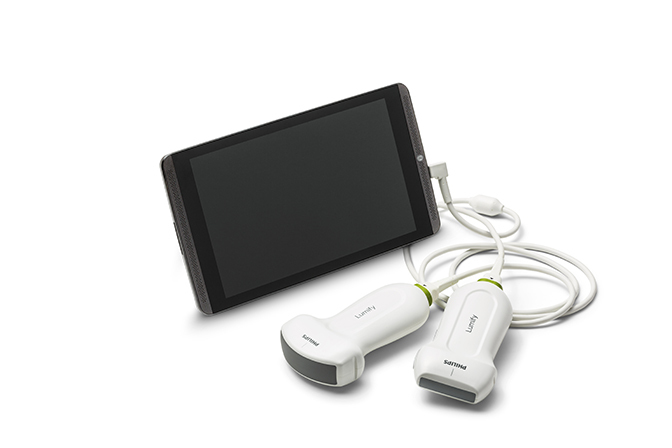 iViz also provides 12-lead ECG capability, front and rear facing cameras, and a USB port. Since iViz is also a tablet, clinicians can consult with other providers for near real-time assessment. The platform can also integrate future point-of-care diagnostics and sensors and these tools are developed. 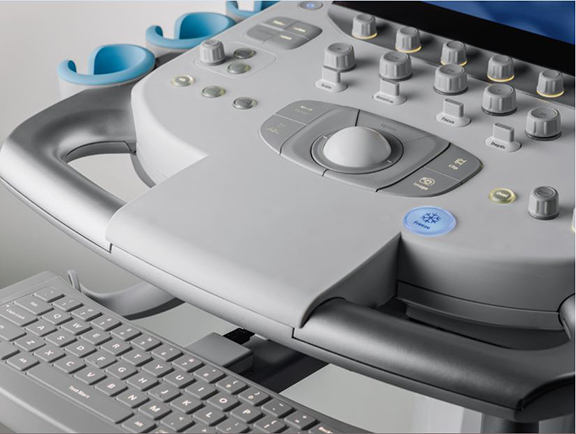 GE Healthcare unveiled its newest ultrasound, the LOGIQ E9 XDclear 2.0, which the company says provides 22% more contrast, 99% improved spatial resolution and 170% more image information compared to the prior generation (LOGIC E9 with XDclear). The system features a high definition widescreen display and Scan Assistant, a customizable automation that helps reduce keystrokes and standardize exam times. Advanced technologies such as Volume Navigation and Elastography are also available on the system. GE also announced that the XDclear technology has migrated to the LOGIC S8, further enabling high qual ity imaging across a range of applications. Two new cardiovascular ultrasound systems, Vivid E95/E90 with cSound were shown to radiologists for the first time. cSound is supercomputer-inspired software that uses algorithms to collect an infinite amount of data and then select pixel-by-pixel the information need to generate high-quality images of the heart. Toshiba America Medical Systems launched the small, versatile and easy-to-use Xario 100 ultrasound system that the company says is ideal for small hospitals, clinics, private offices and imaging centers. It includes many of the advanced imaging technologies found on Toshiba’s high-end ultrasound systems, such as Advanced Dynamic Flow (ADF) and Differential Tissue Harmonics (D-THI). The company also announced enhancements to its Aplio 500 Platinum Series with Innovation 2016. 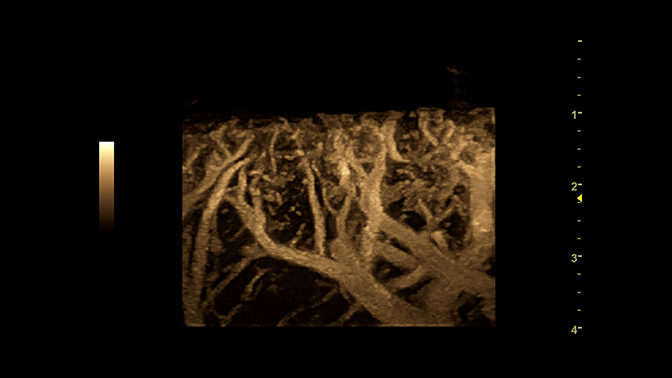 Key features include: 3D Superb Micro-Vascular Imaging (SMI) for enhanced visualization of low velocity flow enabling clinicians to see smaller vessels in and around areas, such as tumors or lymph nodes, in all three dimensions; and 3D Shear Wave for improved visualization of tissue stiffness of the liver in three dimensions and a propagation mode supporting ease-of-use of the shear wave mapping of repetitive scans. 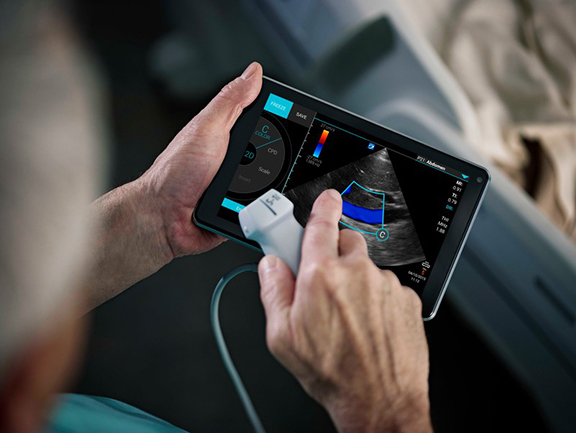 Philips Healthcare announced the US commercial launch of Lumify, a smart device ultrasound solution that connects off-the-shelf compatible smart devices, a mobile application, advanced ultrasound transducer technology, integrated IT and support services to extend ultrasound to more places by leveraging cloud-enabled and tablet technology. The company also announced the release of Evolution 2.0, a major upgrade for EPIQ and Affinity ultrasound systems that incorporates image quality advances across a suite of transducers and range of applications so users can maximize the power of Philips’ nSIGHT Imaging architecture. Konica Minolta Medical Imaging showcased SONIMAGE HS1 Version 2.0 with wireless connectivity, providing a more streamlined approach for radiologists treating at the point of care. The new version includes better differentiation of subtle variations in the far field of the image, an increase in the sensitivity to color flow so clinicians can more clearly see blood flow within a specific region of the body, and greater sensitivity for simple needle visualization within tissue, even at deep angles. Over at Siemens Healthcare, the company highlighted two new mid-range systems, the ACUSON NX3 and the ACUSON NX3 Elite, which offer three times more customizable keys and a faster workflow with 28 fewer keystrokes. According to the company, the customizable control panel and touch screen combined with Siemens’ workflow innovations enable the user to perform certain routine anatomical measurements up to 76% faster than traditional solutions. Siemens also introduced the HELX Evolution with Touch Control for the ACUSON S Family featuring a reworked user interface that provides 44% fewer software keys, 33% fewer tactile key, and 22% fewer home base controls compared to prior version. 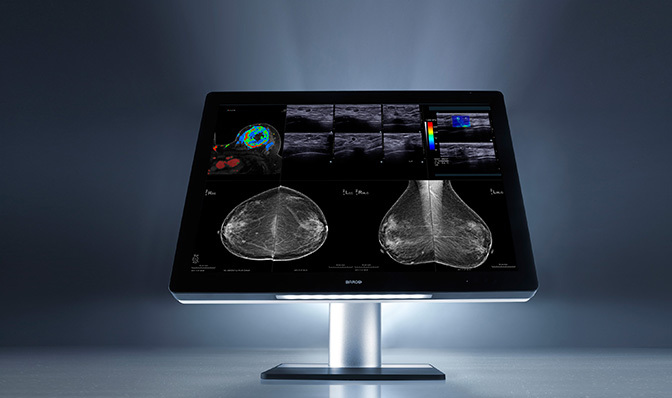 It also includes an intuitive touch display and imaging optimization technologies for challenging patients in abdominal, breast, vascular and MSK exams. Samsung announced US availability of the RS80A with Prestige featuring S-Fusion for simultaneous localization of lesions with a realtime ultrasound image supported by other modalities’ 3D data sets. 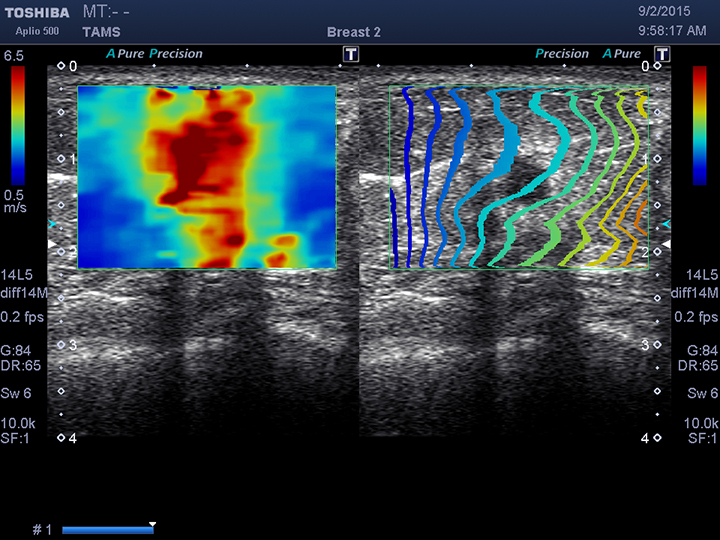 Additional capabilities include S-Shearwave for detecting the velocity of the shearwave transmitted through the lesion and displaying the measurement of stiffness; E-Breast for calculating the strain between the region of interest (ROI) and normal breast fat and displaying the results; and E-Thyroid where the ROI is used to show the contrast of an elastogram. Supersonic Imagine demonstrated AngioPLUS, a US 510(k) pending solution for microvascular visualization that improves color sensitivity and spatial resolution while maintaining 2D imaging. It increases the detail of real-time flow information available for diagnostic exams of the breast, liver, lymph nodes and thyroid as well as evaluating inflammation in tendons. Hologic continued to promote the research behind the company’s breast tomosynthesis solution—Genius 3D Mammography—announcing that 63 papers, poster sessions and lectures on breast tomosynthesis were presented at RSNA 2015. The company also showcased solutions that can be used in conjunction with Genius, including: C-View for generating 2D exams from Hologic breast tomosynthesis dataset; Affirm breast biopsy guidance; I-View contrast-enhanced digital mammography and breast tomosynthesis image fusion; and Quantra breast density assessment software for breast tomosynthesis. Volpara Solutions highlighted its newly FDA cleared VolparaDensity Version 3.1, which correlates to the new Fifth Edition of the Breast Imaging-Reporting and Data System (BI-RADS) Atlas. The company also introduced Volpara Density Map, which received FDA clearance on January 14, 2016, for presenting 3D quantitative volumetric information created by the VolparaDensity algorithm in a 2D image that is available as a DICOM secondary image. Also on display was the works-in-progress VolparaEnterprise for real-time quality assurance and performance monitoring through dynamic, interactive dashboards. In addition to the acquisition of VuCOMP, iCAD, Inc., previewed several works-in-progress solutions for tomosynthesis: iReveal breast density assessment and workflow tools to support cancer detection and reading efficiency. The company also highlighted Radion Hub, a cloud-based management platform that enables a single radiation oncologist to remotely complete peer reviews across multiple, non-affiliated locations. Koning Corporation announced the commercial availability of the 3D Koning Breast CT, designed to image the entire breast in a single scan. By acquiring multiple 360° images of breast tissue, the systems eliminates overlapping tissue concerns and enables radiologists to review in multiple planes or as 3D reformatted images at dose levels similar to diagnostic mammography. Carestream Health unveiled a new imaging device intended for orthopedic imaging in hospitals and clinics, including sports medicine. 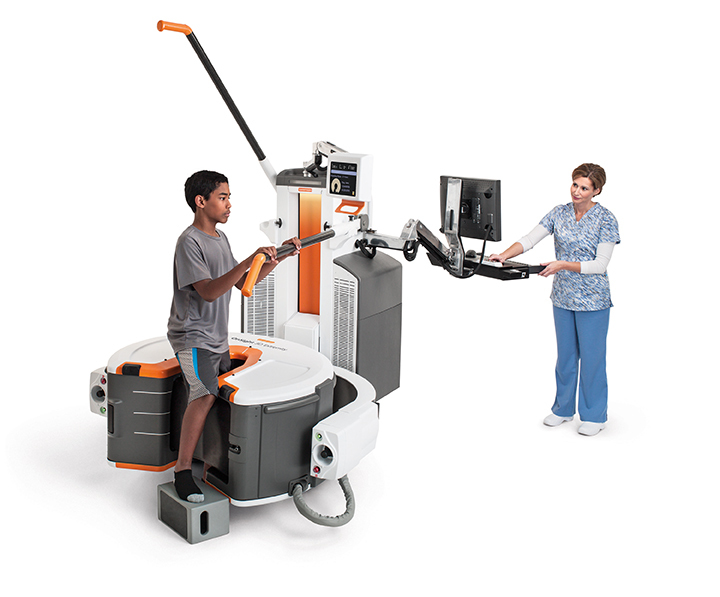 The investigational cone-beam CT (CBCT) device is being used in clinical studies to capture weight-bearing images of patient extremities including knees, legs and feet, which can help orthopedic and sports medicine specialists diagnose and treat a host of orthopedic conditions. Information and data sharing from device to RIS/PACS or even the EMR seems to be a key focus across the contrast media vendors. Safety (including minimizing injectable dose), protocol optimization/consistency, efficacy and image quality are all key factors driving this trend. Bracco Diagnostics, Inc., emphasized Nexo, a centralized server-based system for standardized contrast delivery management. With NEXO, physicians, technologists, and administrators can manage data from contrast injection procedures with timely, accurate, and documented information available system-wide. It can help sites standardize protocol management, documentation and reporting by the type and concentration of contrast media as well as the type of study/area of interest. Nexo connects and synchronizes Bracco injectors with RIS/ PACS, automatically captures and send contrast injection reports post-procedure as DICOM secondary reports to PACS and provides access at the Empower injector monitor to the modality worklist for access to patient information, such as the type, number, volume and dosage of prior contrast injected procedures. Over at Bayer, the Medrad MRXperion MR injector is the company’s first MR power injection system to utilize the Radimetrics Enterprise Platform for delivering personalized features such as modality worklist connectivity and protocol storage and retrieval a the point of care. The system enables the recording and report of MR contrast-enhanced procedure data through the Radimetrics informatics solution. MR informatics may also help enhance operational consistency by interfacing with PACS, RIS and speech recognition, including the ability to export DICOM secondary capture to PACS. 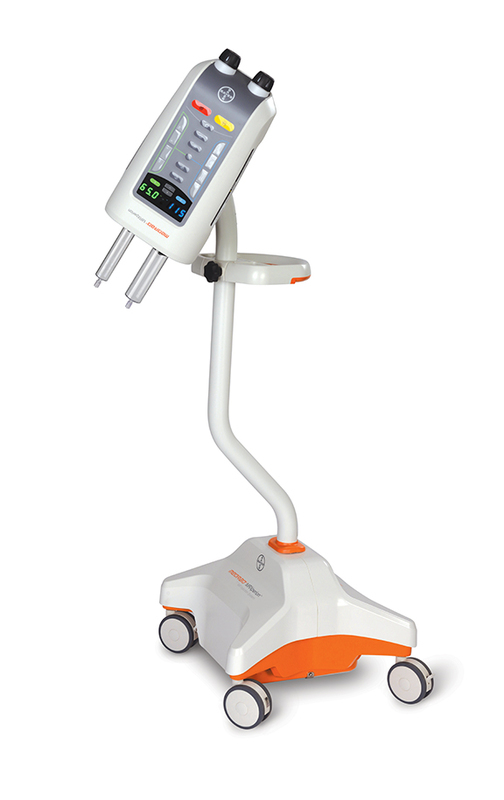 Medrad MRXperion features a snap-on/twist-off syringe design, automatic plunger advance and retract when attaching and detaching syringes and automatic filling and priming. It boasts a patient-centric workflow design with modality worklist connectivity, protocol storage and retrieval and an on-board eGFR and weight-based dosing calculator. The system also offers automated data capture via the Radimetrics Enterprise Platform. Meanwhile, Guerbet announced the completion of Mallinckrodt’s Contrast Media and Delivery Systems (CMDS) business, further strengthening the company’s line of contrast media and providing an avenue for further growth with the LF family of injectors. McKesson continues to build upon Conserus, the company’s suite of vendor-neutral solutions for healthcare IT enterprise and diagnostic imaging that was launched at HIMSS 2015. Designed to help optimize imaging workflows and clinical effectiveness, the suite now includes professional services in addition to quality and communication Workflows, Enterprise Worklists driven by clinical and business logic, an Enterprise Image Repository and a Clinical Data Exchange. The company says the Conserus professional services can help a hospital or IDN accelerate change management to transform to a value-driven based organization and in many cases utilize existing tools and technologies. With Conserus Workflow Intelligence, facilities can create efficient and predictable interpretation workflow processes within and across multiple departments and users. It uses intelligent assignment and re-assignment of tasks, sophisticated prioritization capabilities, integrated communication tools and escalations to ensure tasks are completed and the loop is closed. The cloud was again the topic of much discussion at RSNA, and GE Healthcare unveiled GE Health Cloud, a scalable, elastic, and reliable cloud ecosystem to deliver GE Healthcare software applications “as-a-service,” accessible via the Internet and offered on a subscription basis. According to the company, it is designed to address the unique requirements of the healthcare industry, including managing the volume, velocity, and variety of healthcare data, such as complex 3D imaging data, in a secure, HIPAA-compliant and gated community cloud environment. Built on existing technology from the Predix Cloud, GE’s platform for the Industrial Internet, GE Health Cloud integrates with existing clinical workflows to provide on-demand access, remote monitoring, asset connectivity, machine data support and industrial-grade security and compliance. With the October acquisition of Viztek LLC, Konica Minolta Medical Imaging has expanded its solutions portfolio with the addition of the Exa PACS/RIS/HER platform. The Exa platform offers customizable features designed to help organizations with multi-facility IT infrastructures, including a custom workflow design engine with drag and drop tools and performance dashboards that help facilities measure what they want and what they need all in real time. According to the company, Exa can readily accommodate multiple workflows as well as unique requests for customized data and informational reports. In related news, Viztek showcased the Exa Mammo Viewer, reportedly a first-of-its kind, PACS-neutral breast imaging management workstation with full diagnostic quality. 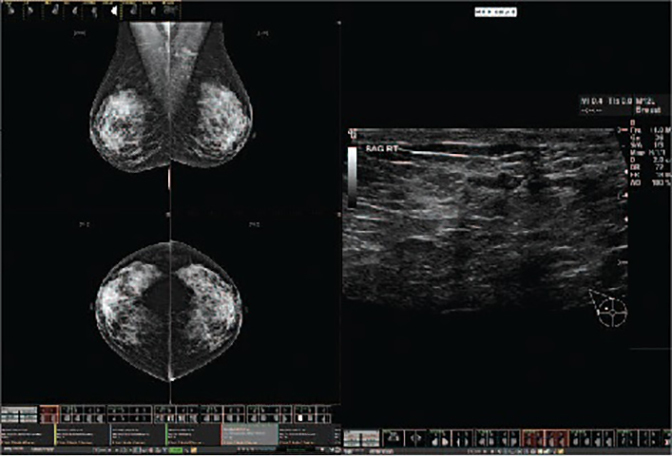 The viewer can be used with any facility’s PACS for any breast imaging study, including digital breast tomosynthesis, from any remote location. Carestream Health highlighted the interoperability of its Clinical Collaboration Platform, which allows data to be aggregated for a more holistic view of the patient and provides access to patient records for referring physicians. Additionally, the company’s Vue Motion universal viewer enables physicians to quickly and easily view and share medical images and reports using mobile devices. Radiologists can provide multi-media reports with hyperlinks to key images that can be embedded during dictation and reporting. Vital Images took 3D printing a step further from its initial launch at RSNA 2014 by announcing a partnership with Stratasys, Ltd. to develop what is reportedly an industry first print-on-demand service using Vital’s Vitrea advanced visualization and Stratasys’ 3D printing services. Vital Images featured various 3D printed models using both company’s technology in its booth at RSNA 2015. The new print-ondemand feature is included on the company’s latest software release for Vitrea, version 6.75. Vital’s Vitrea software takes the patient scan data and converts it into an STL (stereolithography) file for direct use with a 3D printer, such as the Stratasys Objet260 Connex3 3D Printer. Three-dimensional models can be exported for other applications as well, including: 3D PDFs, CAD software, computation modeling programs, surgical simulators and surgical navigation systems. 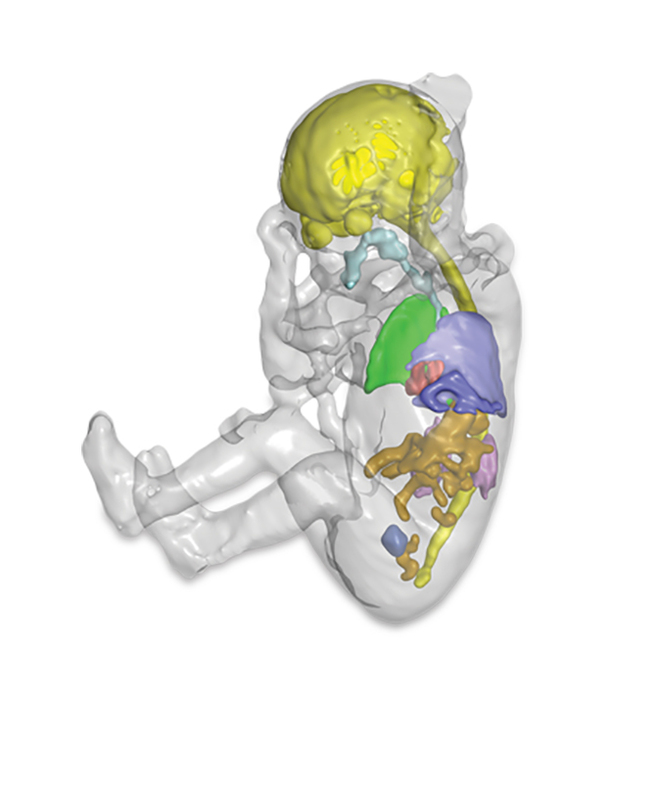 Users can export multiple anatomical layers at one time. Also building on a new product introduction from the prior year was Barco, announcing additional US FDA clearance for specialty imaging exams—breast MRI, breast ultrasound, CT and ultrasound, and vascular and gynecological ultrasound. Optimized with the company’s patented I-Luminate technology offering four-times the brightness of conventional mammography displays, the Coronis Uniti enables radiologists to see extremely subtle details with greater clarity. The Coronis Uniti is the first display that allows simultaneous viewing of 2D and 3D, grayscale and color, and static and dynamic images on the same screen. In analytics, National Decision Support announced with Nuance that the companies will provide a new integrated set of clinical decision support and collaboration capabilities that utilize the ACR Imaging 3.0 tools to help radiologists and provider organizations comply with current and emerging value-based payment methods. By combining clinical decision support, radiology reporting and image sharing technology to open communications channels and provide real-time information sharing between radiologists and ordering physicians, the integrated solutions advance quality initiatives while driving accuracy and efficiency in healthcare. National Decision Support also announced an agreement with Cerner that enables users to contract directly for ACR Select within their Cerner Millennium EMR. PACSHealth LLC launched VNAHealth, a new tool that enables enterprise imaging managers to monitor DICOM imaging studies as they move between imaging modalities, workstations and vendor neutral archives. VNAHealth is designed to help healthcare organizations monitor and manage their complex enterprise imaging networks that are likely to include multiple PACS and a VNA. Philips Healthcare announced DoseWise Portal 2.0, an update to the company’s comprehensive radiation dose management software solution. It now features an enhanced dashboard for viewing patient data that introduces a sophisticated peak skin dose reporting feature to help manage patients undergoing complex fluoroscopy procedures. The solution also further integrates with DoseAware Xtend for staff exposure data, enabling providers to ensure their staff is protected from high levels of radiation. Unfors RaySafe focused on education with RaySafe i2, an active dosimetry system that gives real-time insight about personal radiation exposure. Lori Weir, MD, an interventional and diagnostic radiologist with L&M Radiology and Lawrence General Hospital, discussed in the company’s booth how real-time dose information can help clinicians change behavior to reduce their exposure to radiation dose during interventional procedures. Specifically, Dr. Weir says that with the real-time information on radiation exposure, the staff can see the impact that shielding and the position and angulation of the collimator can have on reducing their exposure. Medic Vision Imaging Solutions Ltd., introduced SafeCT-29 a CT-vendor neutral solution that helps providers meet the NEMA XR-29 (SmartDose) standard and avoid CMS penalties. Pending FDA clearance, SafeCT-29 is an add-on system for installed CT systems that is fully automatic and enables the technologist to maintain his or her existing workflow. SafeCT-29 connects to the CT console, analyzes dose data in real time, alerts the operator if the dose is too high, and prevents the patient scan until dose levels are changed or confirmed and justified. Hricak H, Amparo EG. Body MRI. Alleviation of claustrophobia by prone positioning. Radiology.1984;152:819. Quirk ME, Letendre AJ, Ciottone RA, et al. Anxiety in patients undergoing MR imaging. Radiology. 1989;170:463–466. Melendez JC, McCrank E. Anxiety-related reactions associated with magnetic resonance imaging examinations. JAMA. 1993;270:745–747. Massat MB. PART 2, RSNA 2015 review: “Innovation” as expressed through technology. Appl Radiol. 2016;45(2):42-51.